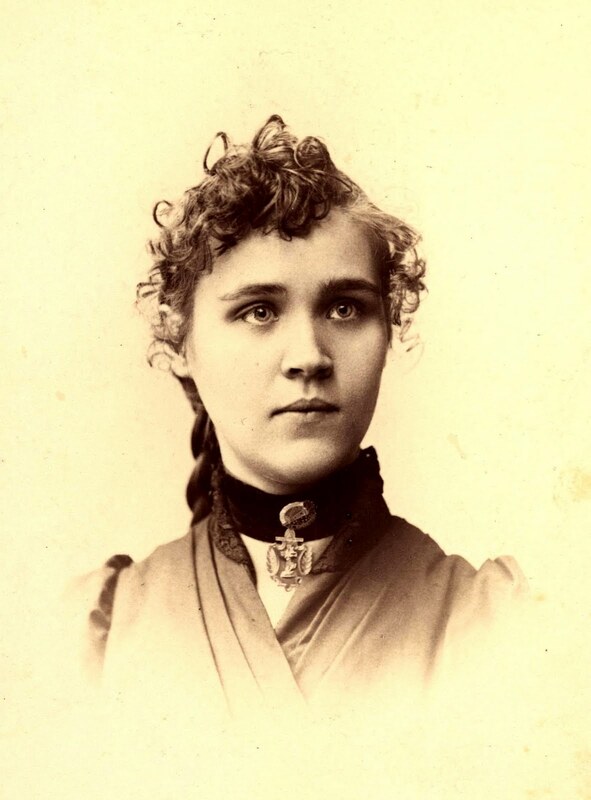 This is the second short sketch of Voltairine’s tha very much relates to the tyranny of work. You can find the first one here. And there will most likely be another one sometime in the near future. The numb pain at her heart forced some sharp tears from the closed eyes. She bent and unbent her fingers hopelessly, two or three times, and then let them lie out flat and still. It was not their fault, not the fingers’ fault; they could learn to do it, if they only had the chance; but they could never, never have the chance. They must always do something else, always a hundred other things first, always save and spare and patch and contrive; there was never time to do the thing she longed for most. Only the odd moments, the unexpected freedoms, the stolen half-hours, in which to live one’s highest dream, only the castaway time for one’s soul! And every year the fleeting glory waned, wavered, sunk away more and more sorrowfully into the gray, soundless shadows of an unlived life. Once she had heard it so clearly,—long ago, on the far-off sun-spaced, wind-singing fields of home,—the wild sweet choruses, the songs no man had ever sung. Still she heard them sometimes in the twilight, in the night, when she sat alone and work was over; high and thin and fading, only sound-ghosts, but still with the incomparable glory of a first revelation, a song no one else has ever heard, a marvel to be seized and bodied; only,—they faded away into the nodding sleep that would conquer, and in the light and rush of day were mournfully silent. And she never captured them, never would; life was half over now. And suddenly a rush of feeling swept her own life out of sight, and away out in the deepening night she saw the face of an old, sharp-chinned, white-haired, dead man; he had been her father once, strong and young, with chestnut hair and gleaming eyes, and with his own dream of what he had to do in life. Perhaps he, too, had heard sounds singing in the air, a new message waiting for deliverance. It was all over now; he had grown old and thin-faced and white, and had never done anything in the world; at least nothing for himself, his very own; he had sewn clothes,—thousands, millions of stitches in his work-weary life—no doubt there were still in existence scraps and fragments of his work,—in same old ragbag perhaps—beautiful, fine stitches, into which the keen eyesight and the deft hand had passed, still showing the artist-craftsman. But that was not his work; that was the service society had asked of him and he had rendered; himself, his own soul, that wherein he was different from other men, the unbought thing that the soul does for its own outpouring,—that was nowhere. And over there, among the low mounds of the soldiers’ graves, his bed was made, and he was lying in it, straight and still, with the rain crying softly above him. He had been so full of the lust of life, so alert, so active! and nothing of it all!—”Poor father, you failed too,” she muttered softly. Behind the fading picture, stretched dim, long shadows of silent generations, with rounded shoulders and bent backs and sullen, conquered faces. And they had all, most likely, dreamed of some wonderful thing they had to do in the world, and all had died and left it undone. And their work had been washed away, as if writ in water, and no one knew their dreams. And of the fruit of their toil other men had eaten, for that was the will of the triune god; but of themselves was left no trace, no sound, no word, in the world’s glory; no carving upon stone, no indomitable ghost shining from a written sign, no song singing out of black foolish spots on paper,—nothing. They were as though they had not been. And as they all had died, she too would die, slave of the triple Terror, sacrificing the highest to the meanest, that somewhere in some lighted ball-room or gas-bright theater, some piece of vacant flesh might wear one more jewel in her painted hair. “My soul,” she said bitterly, “my soul for their diamonds!” It was time to sleep, for to-morrow—WORK.